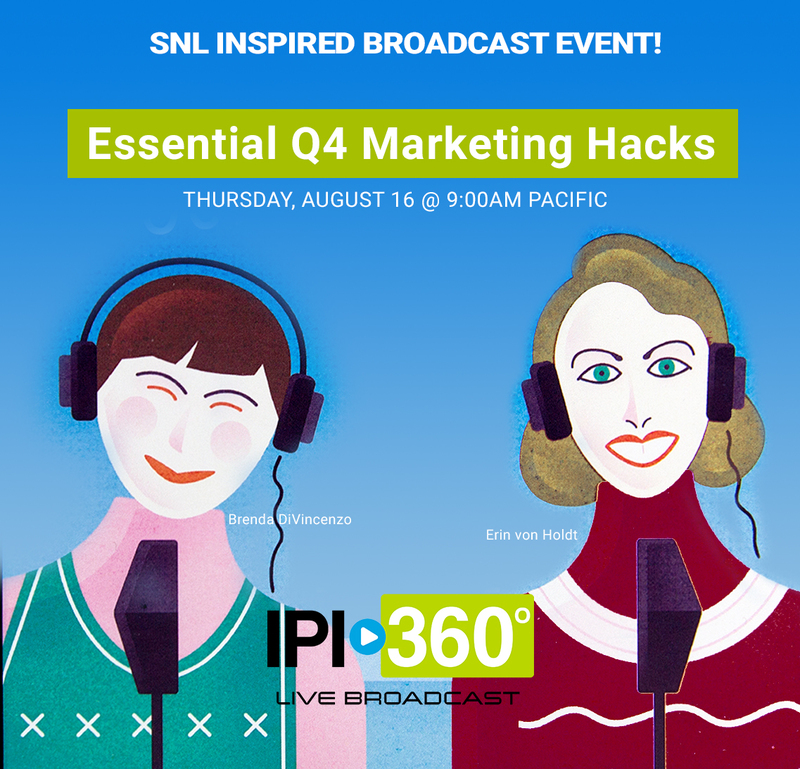 REWATCH our special SNL inspired Schweddy LIVE BROADCAST as we discussed Essential Q4 Marketing Tips + Member MSP Secrets. Where: ONLINE! Follow the link https://www.ipiphoto.com/page/IPI306LIVEBroadcast ! Watch IPI’s Director of Marketing, Erin von Holdt, (and her partner in crime, Brenda DiVincenzo) as she shares her secret marketing recipe that will make your Q4 holiday season a success. So wear your holiday sweater because this episode will be one sweet treat you won’t want to miss.